The studio is open most days by chance or appointment. Drop by or call to confirm open hours. Take Exit 113/Rt. 3 off of I-95. Follow Rt. 3 east towards Belfast (42 miles). Turn right on Jesse Robbins Rd. At stop sign turn right on Back Belmont Rd. Turn slight left on Halls Corner Rd. Take 1st left on Northport Rd. Sudio at 103 Northport Rd. is on the right. Follow Rt. 1 N into Camden. Turn slight left on Mountain St/Rt. 52. Continue to follow Rt. 52. Turn left on Rt. 173/Rt. 52/Main St. Turn right on Belfast Rd/Rt. 52. Follow Rt. 52 past Pitcher Pond. Turn left on Ryan Rd. Ryan Rd. becomes Northport Rd. Studio at 103 Northport Rd is on the left. Follow Rt. 1 S to Belfast. Stay on Rt. 1 around Belfast. After Rt. 3 overpass take right at light on Rt. 52. Follow Rt. 52. Turn right on Ryan Rd. Ryan Rd. becomes Northport Rd. Studio at 103 Northport Rd. is on the left. Take Main St. away from the harbor. Turn left on Lincolnville Ave. Lincolnville Ave. becomes Rt. 52. Follow Rt. 52. Turn right on Ryan Rd. Ryan Rd becomes Northport Rd. 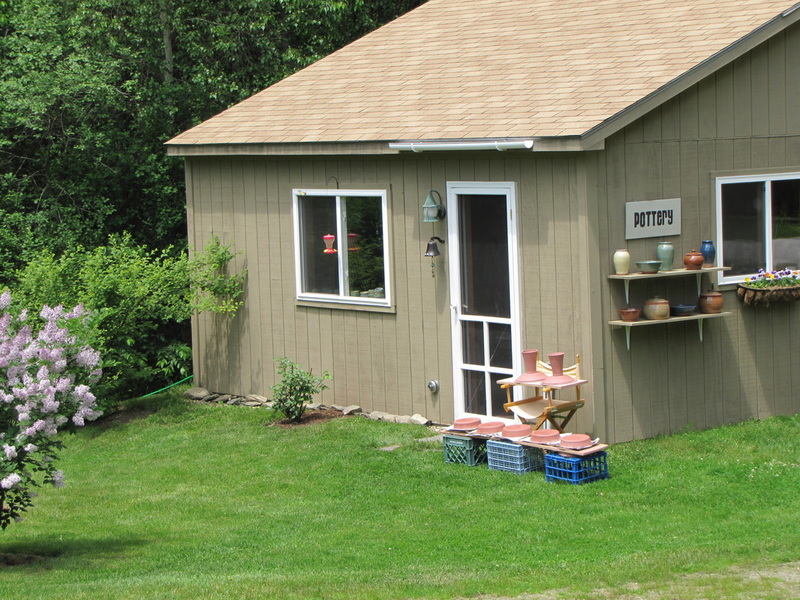 Studio at 103 Northport Rd. is on the left.